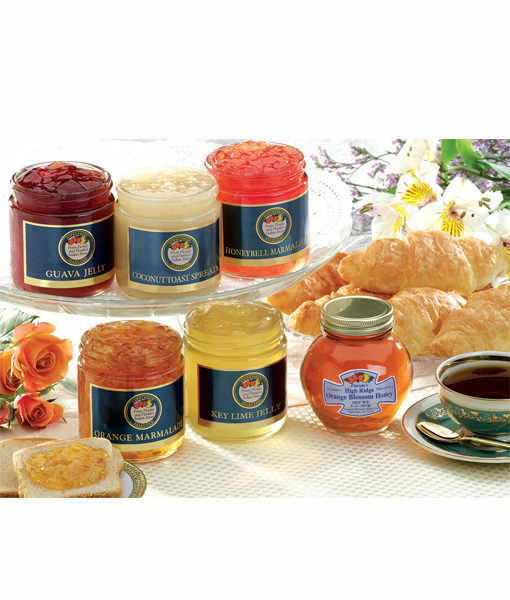 Florida marmalades and jellies made from fresh fruits and fruit juices: Key Lime Jelly, Guava Jelly, Honeybell Marmalade, Orange Marmalade and Coconut Toast Spread. 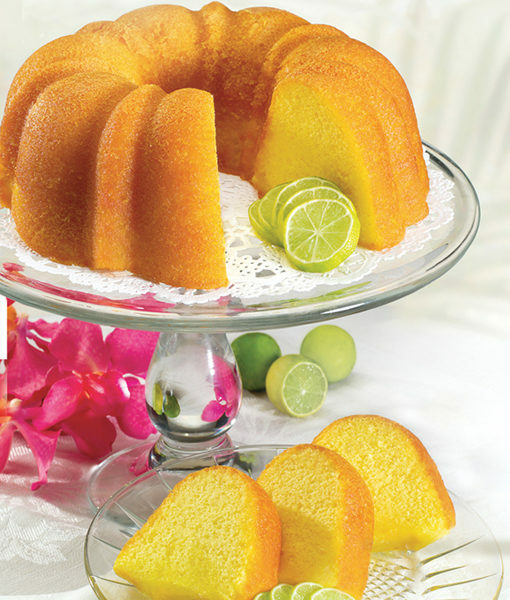 Theres also a jar a genuine Orange Blossom Honey to sweeten your day. Six 8 oz. jars. 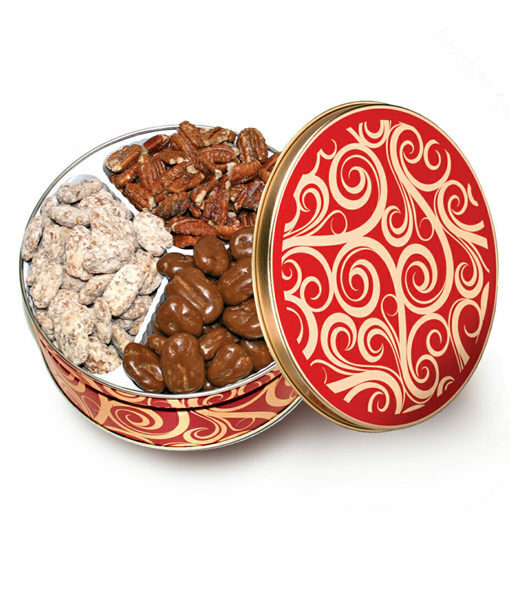 A colorful collector tin filled to the brim with Chocolate Amaretto Pecans, Praline Pecans and Roasted Salted Pecans. 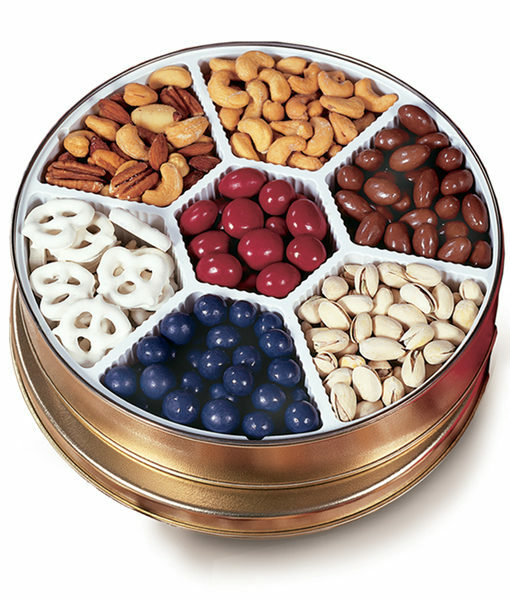 The perfect “Thank You” gift. 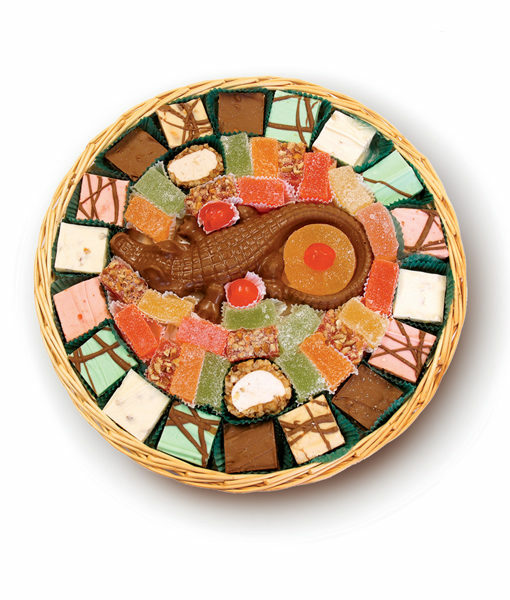 Notting says “Florida” better than our solid Chocolate Alligator nestled in an assortment of sure–to–please Citrus Juice Candies, Pecan Log Slices, plus Chocolate Candies with Pecans, Coconut, Orange, Mint and Peanut Butter flavors.